Hi to you all and so sorry that it's so very long since I've blogged. It's remiss of me especially considering I have a great giveaway running on Instagram since 2 weeks and I ought to have shared it with you. 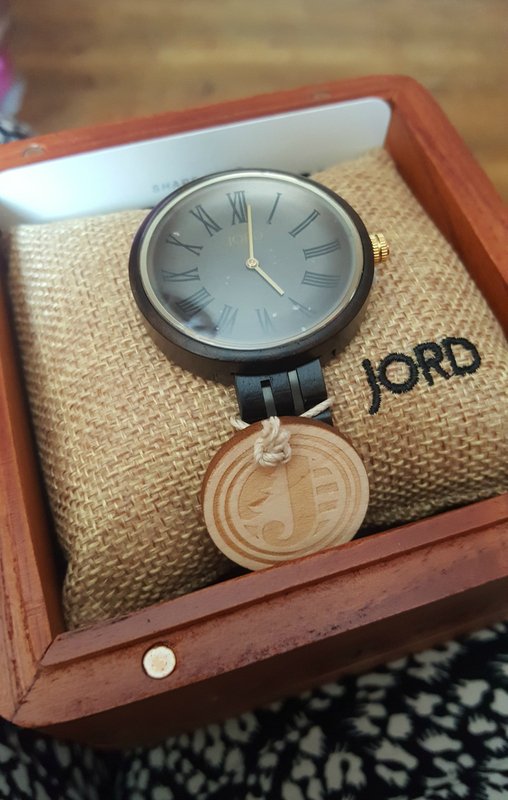 I have been reviewing this Jord Watch and it's helping me keep track of time (I haven't worn a watch in over 10 years and now I have it on daily and love it). It's great as I no longer need to keep looking at my phone for the time. Now I'm a fully paid up member of the Soccer Mum club I can keep an eye on the clock. Must say though I'm not looking forward to the evenings drawing in. I noticed last night it was nearly dark at 19:30hrs and football is 1800 to 1900 tonight. Thank God it's a warm dry day but we do have Storm Ali skirting passed us and it's just knocked down my washing line with 3 loads on. Anyway I digress back to the watch. The contest will end on Oct 7, 2018 at 11:59pm. You have a chance to win one $100 gift code to use on the JORD site! One lucky person will win, but everyone will receive a consolation code worth 10% off once the contest is over! All other entrants will also be emailed a consolation 10% off code as well. Once the contest closes, Jord's system will randomly select a winner and email them with their winning code. All you have to do is fill out name and email on the link in my Instagram profile. The link is also above. What is unique about this watch is that it is WOODEN, hence the wooden packaging you see above, which celebrates this quality of the watch. It means it is a real delight and pleasure to wear. It doesn't feel like an alien bit of plastic or metal on my arm. Technically I could see it as a dress watch for special occasions but in reality I am wearing it every day.